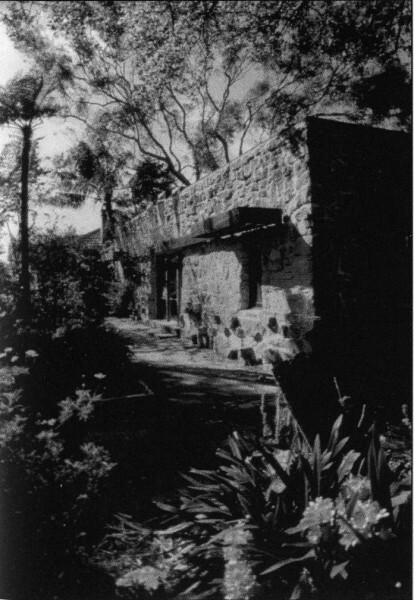 Twelve houses within a spectacular setting, designed by American architects Walter Burley Griffin and Marian Mahoney Griffin and their Australian partner Eric Nicholls, survive in the Sydney suburb of Castlecrag. The planning, architectural design and the vision for the community of Castlecrag incorporated the philosophy and political ideas of the Griffins and their experience of theosophy. They formed the Greater Sydney Development Association which purchased 650 acres (236 hectares) in 1920 on a peninsula, jutting out into Sydney Harbour. The Griffin’s design for Castlecrag reflected a conscious desire to preserve its topographical features, primarily the rocky sandstone outcrops after which the area was named.